This year, St. Peter School participated in the National Day of Giving for Catholic Schools sponsored by the NCEA in partnership with FACTS, the outfit that manages our tuition payments. Even though the deadline for giving has passed, we are still looking to meet our fundraising goal of $5,000. In case you missed the email outlining the purpose of this fundraiser, you can review that by clicking here. We are super excited about the positive changes taking place at our school, and especially about our students who are amazing kids! As indicated to school families, a small minimum donation of $5 will secure a 4-day dress down pass for March, the details of which will be discussed during Spirit Week later in February. However, we could use more sizable donations which we plan on using to upgrade our technology/STEM program- which is already excellent- to new heights. Please note that your directions go DIRECTLY to St. Peter School and they are tax deductible. Donations support a local cause; all monies donated stay at St. Peter School and are used exclusively for the operation of the school. 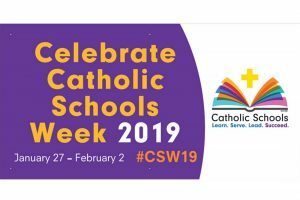 Supporting Catholic education is an absolutely wonderful cause; a tremendous opportunity to give back and support the faith formation of a rising generation. We are truly grateful for any gift that you might consider making to support our school’s fundraising efforts for the 2018-2019 school year. 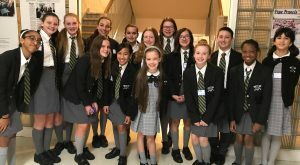 Please click the link below to make your donation today, or contact Mrs. O’Callaghan (who oversees our school’s annual fund, ocallaghan@stpeterschool.org) with any questions you might have.